TORONTO – With nine games remaining on their regular-season schedule, the Toronto Raptors still have a mathematical chance to land not just the top seed in the Eastern Conference playoffs, but the top overall seed in this year’s postseason. It’s a worthwhile goal – one most teams would strive for. But Raptors coach Nick Nurse isn’t making it a priority. “When I got the job,” Nurse said. Nothing – including pursuit of that top overall seed – will see the Raptors deviate from that objective. Nurse could’ve been referring to the East (where the 4-seed Cavaliers knocked out the top-seeded Raptors in the second round) or the NBA as a whole, as the Golden State Warriorswon a second consecutive title, in part, by winning Game 7 of the Western Conference finals in Houston against the top-seeded Rockets. But the specifics of last season’s results don’t matter. What matters to the Raptors is reversing their playoff fortunes. Toronto is coming off by far the best five-year run in the franchise’s 24-year history, averaging nearly 53 wins per season, culminating in a 59-win season a year ago. However that regular-season success hasn’t translated to deep postseason runs. The Raptors have made just one trip beyond the second round (a 4-2 loss in the East finals to James and the Cavaliers in 2016), and have seen three of their past four seasons end in series sweeps. Toronto is determined to change that narrative and write a different ending this season. That was the case when Raptors president of basketball operations Masai Ujiri chose to replace Dwane Casey with Nurse; it also was the case when he traded the franchise’s all-time leading scorer, DeMar DeRozan, for former Finals MVP Kawhi Leonard, and again when he moved Jonas Valanciunas at the trade deadline for Marc Gasol. “I think we went into training camp with the theme of, ‘We’re gonna move some pieces around, we’re gonna try a lot of schemes,’ all with the end goal in mind,” Nurse said with a smile. Nurse has liberally flip-flopped starting centers – first between Serge Ibaka and Valanciunas, and since the deadline between Ibaka and Gasol. For Gasol, in particular, that has meant a significant adjustment from the role he’d grown accustomed to for the past decade in Memphis, where he was the full-time starter and face of the franchise. “You understand the situation and you deal with whatever’s best for the team,” Gasol said. "There’s not going to be any complaints or negative vibes coming from me. The job is to do what’s best for the team and we have to figure out what we have to do going forward. I know at least for the next few games, it’s going to be consistent and I’m going to try to be consistent as well. That same patience has been necessary for a Raptors team that has put together the second-best record in the NBA (behind only the East-leading Milwaukee Bucks) despite having its full roster available just twice all season long. 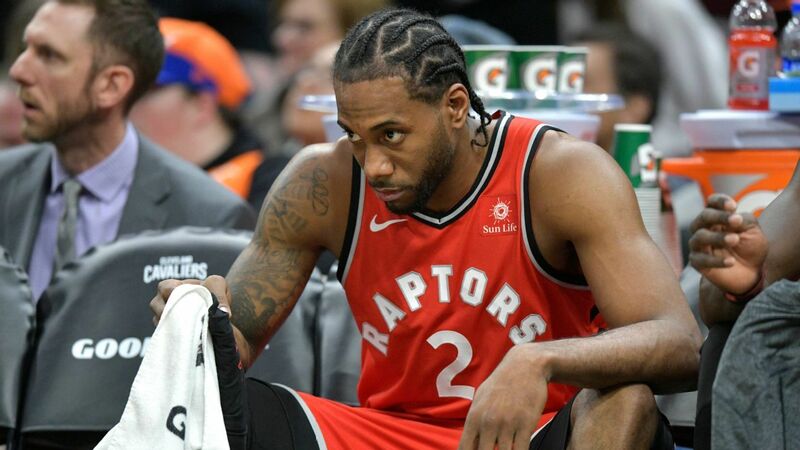 Leonard has missed 20 games – many of which have been for “load management,” in response to his missing all but nine games last season with a quadriceps injury – and Kyle Lowry has been absent 17 times (including Sunday’s game against the Charlotte Hornets, the third straight he has missed with a sprained ankle). Including the Hornets game, the Raptors will have played 74 games this season – only to have their two All-Stars play together in exactly half of them. Toronto would obviously have loved to have more time with its two stars on the court together. But the success the Raptors have had while juggling lineups is a positive indicator of Nurse’s ability to handle any situation that comes Toronto’s way when the playoffs arrive. 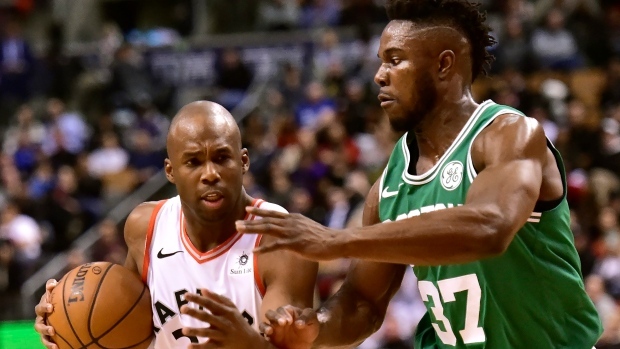 And while the other East contenders – Milwaukee, the Philadelphia 76ersand Boston Celtics – all present a formidable challenge, the Raptors won’t take the court against any of them thinking they are an underdog, regardless of seed. “Could we be the No. 1 seed in the league? Probably, without all the injuries,” Nurse said. "But we’ve had a ton of 'em. I think we’ve had four or five guys miss 20-plus games. It’s a lot. For the better part of a year, the Raptors have been singularly focused on putting their prior postseason failures behind them. With James now out West – and, coincidentally, not part of the playoff picture at all, thanks to the Lakers’ implosion – the roadblock they ran into in each of the past three seasons has been taken away. Now the team has one of the easiest finishing schedules in the NBA to get right and get healthy before the playoffs begin April 13. “When we play, you can see where you fit, and what we can do out there,” Leonard said. "You don’t know what’s going to happen in the playoffs. Regardless of what happens in these final nine games – whether Toronto eclipses Milwaukee or remains in the second spot in the East – the goal remains the same: getting this franchise to the NBA Finals for the first time. Unlike last year, the Raptors likely aren't going to enter the playoffs as the top team in the East. But they're more concerned about where they finish in June, not April. Jodie Meeks is a Toronto Raptor for the rest of the season. According to Shams Charania of The Athletic, the Raptors will bring Meeks back for the remainder of the season. 100% agree。 NN has already given up on Lin. NN has already given up on Lin.